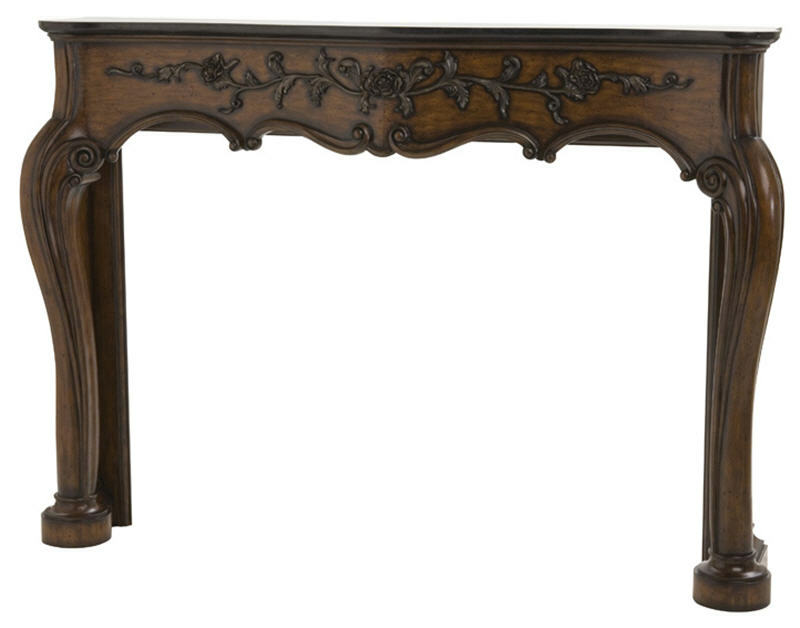 Dimensions W:74" x D:12.5" x H:52.5"
Crafted of mahogany with a black fossil stone top, this handsomely carved mantel creates a grand border for your fireplace. Bring out the beauty of your home and hearth with the 74" Livingston Fireplace Surround, the intricate and detailed wood work is sure to impress family and friends. Exterior Dimension: W:74" x D:12.5" x H:52.5"
Interior Dimension: W:60" x D:12" x H:40"